An Oregon startup called DroneSeed is trying to change how we farm. Not only that but could also help with the replanting trees. If the startup gets its way, foresters in the Pacific Northwest might be in for a surprise the next time they are out in the field. Instead of walking into a team of people working to replant trees, they could be bombarded from the skys by a fleet of seed-blasting drones deployed to complete the same task after a harvest is complete. The company was founded a year ago by Grant Canary and Ryan Mykita. DroneSeed is developing a specialized drone system that is designed to identify potential planting sites and then drop seeds in the selected remote forest locations. When looking over a site, DroneSeed uses a 3D map of the area to identify micro-sites that will provide the best chance of survival and growth for the trees or plants. Then they load the drones up with seeds and send them to these selected locations. Instead of just dropping the seeds, the drones are equipped with a small cannon that fires the seeds using compressed air. Similar to paintball or a BB gun, the seeds fly out at around 350 feet per second. This quick firing velocity has a huge advantage. Unlike humans who can plant about 800 seeds a day, the DroneSeed drone can plant up to about 800 seeds in just an hour. With a full battery, one of these drones can blanket an acre of forest with seeds in 1.5 hours. DroneSeed believes that their technology is so efficient that it will drastically reduce replanting costs. Not only are these drones more effective than a human worker, they are also safer to operate and much more affordable than a human crew. Logging operations generally have a hard time keeping workers even when they offer competitive pay. The job is physically demanding and one of the most hazardous jobs in the world. The combined safety and financial benefits are why these drones could be very attractive. 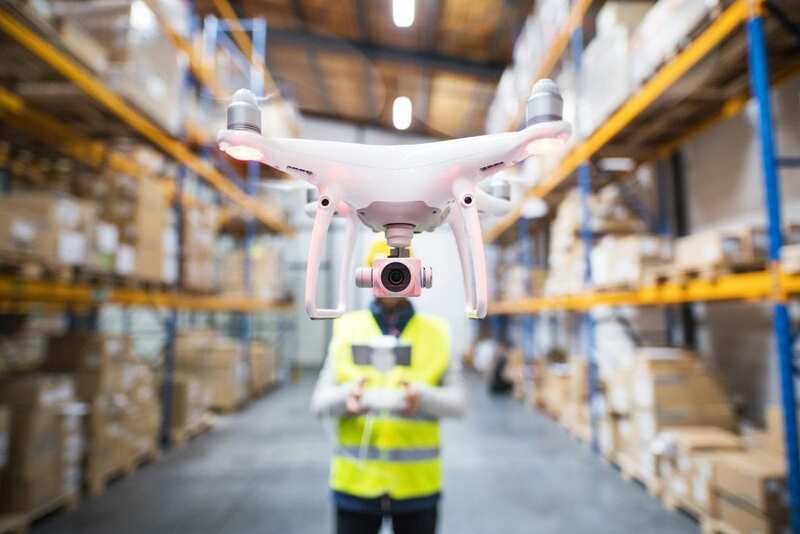 A fleet of drones doing some work for you will cost much less then paying a team of workers and without worry of physical hazards. Some serious technology that could do good for the world. Forests are constantly getting destroyed by fires and many other reasons. With drones like this we could really do some good. And for those farmers out there this could be something amazing for you as well. Id imagine something like this could really help save you some time that you could put else where.